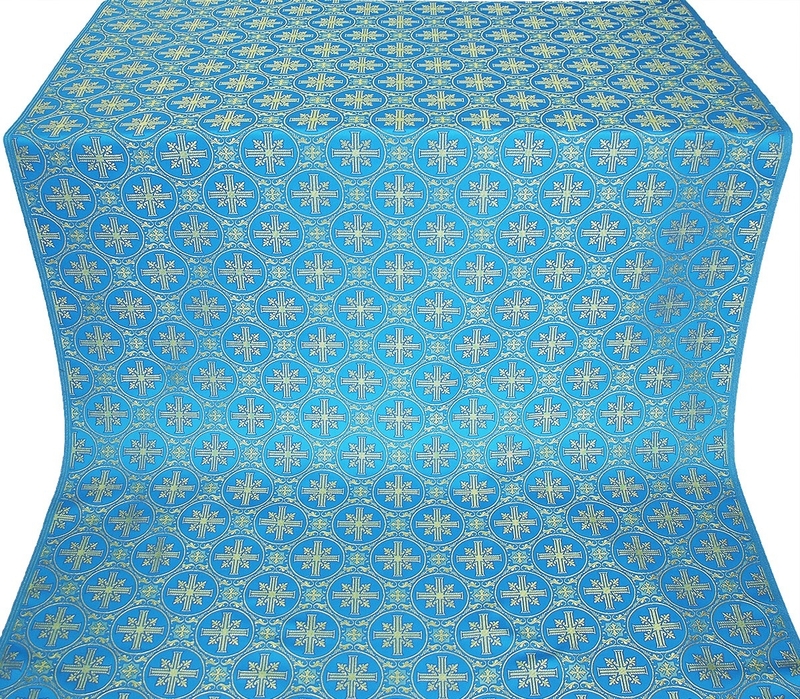 Istok Church Supplies offers a superb range of high quality rayon brocades blue-gold in a wide variety of designs and patterns to suit the needs of any Orthodox Christian church. 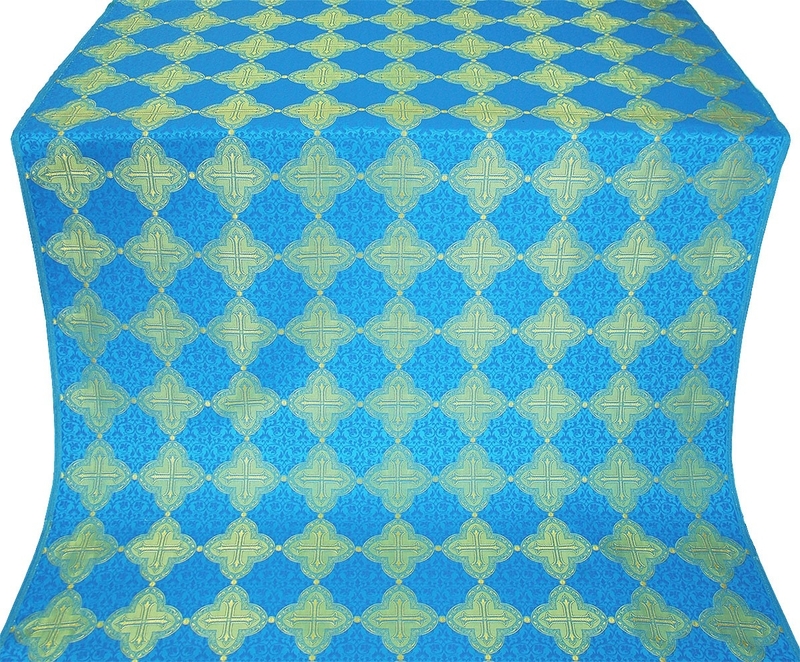 Whether you want to create a Bishop’s official vestment or an altar server’s vestment, you will find enduring and beautiful rayon brocades with long lasting beauty and elegance. Traditionally, Orthodox Christian church vestments are tailored with expensive and lavish materials like silk. However, due to budget constraints and other considerations, silk may be out of reach for small churches. 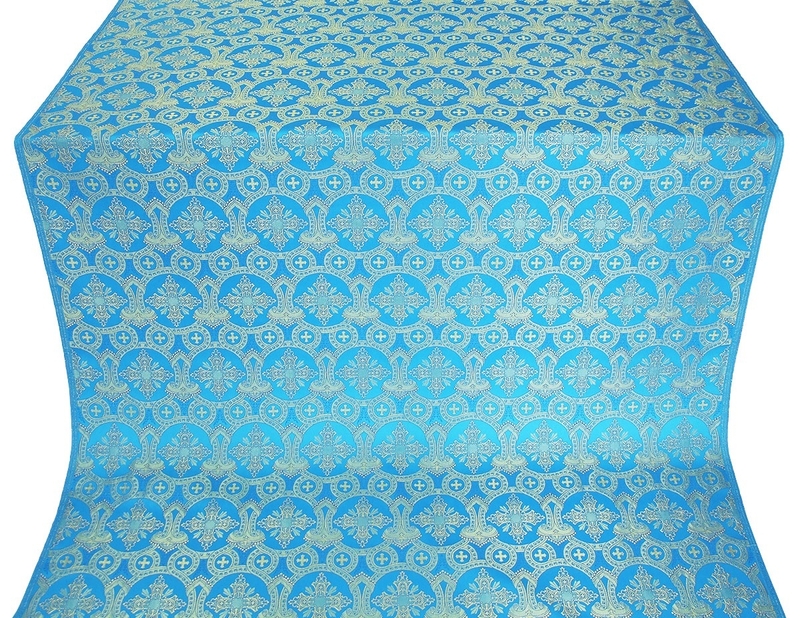 Fortunately, rayon brocades blue-gold that carry a rich and silky appearance are both affordable and beautiful. 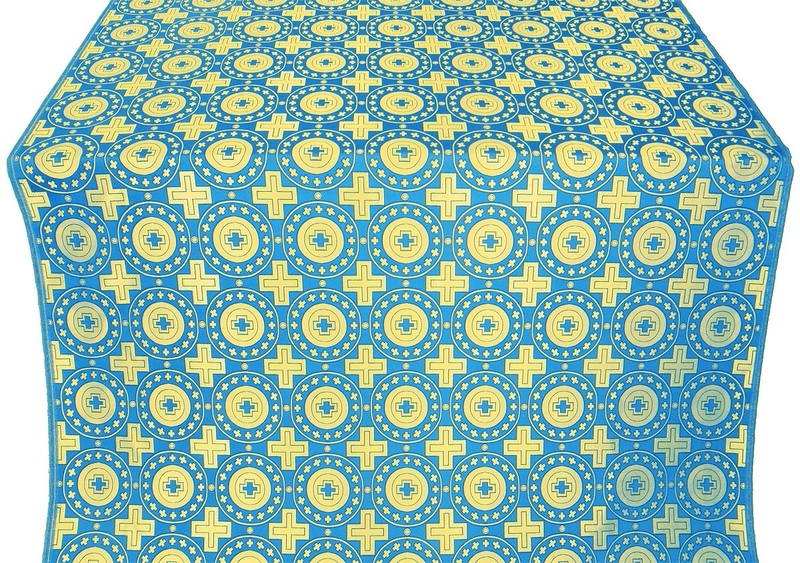 At Istok Church Supplies, we have a paramount concern for quality and make sure to provide only best quality fabrics that will serve their purpose for many years. 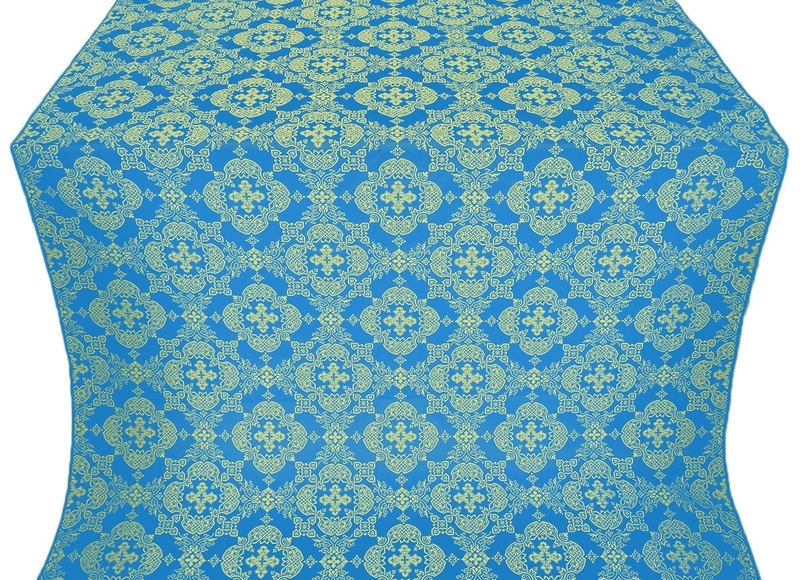 Our man-made rayon brocades are composed of 60% acetat and 40% poliephir and can be purchased by the meter. 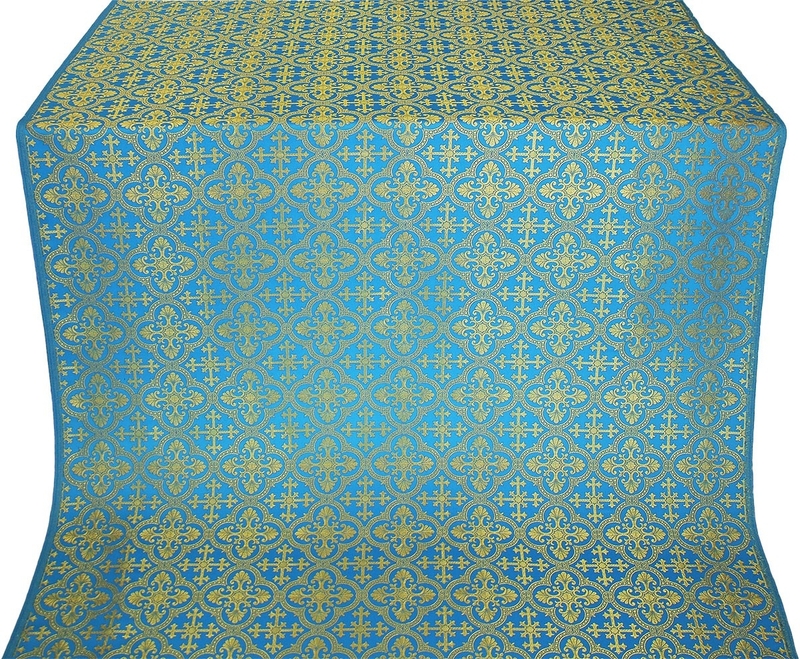 Our rayon brocades blue-gold are suitable for a wide variety of vestments, especially vestments to be used for sacred events, feasts and days related to the Most Holy Theotokos. 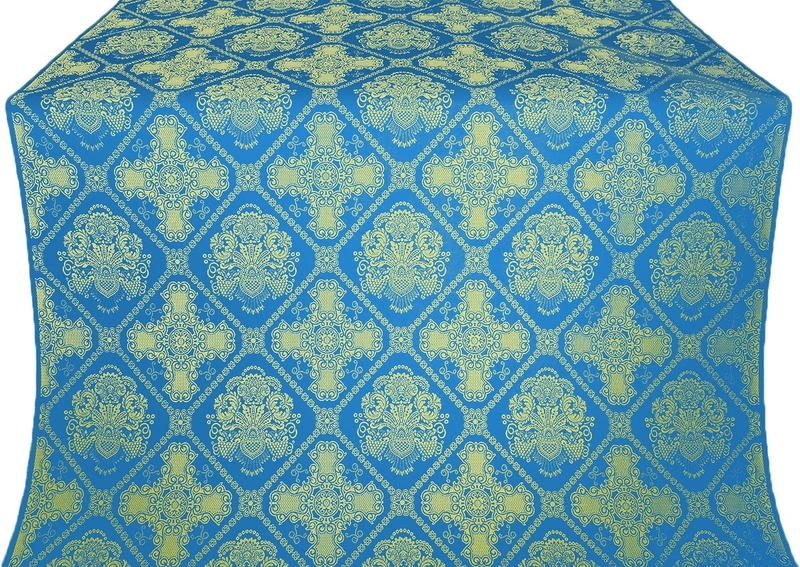 Our rayon brocades carry Christian themed patterns with varying levels of intricacies. 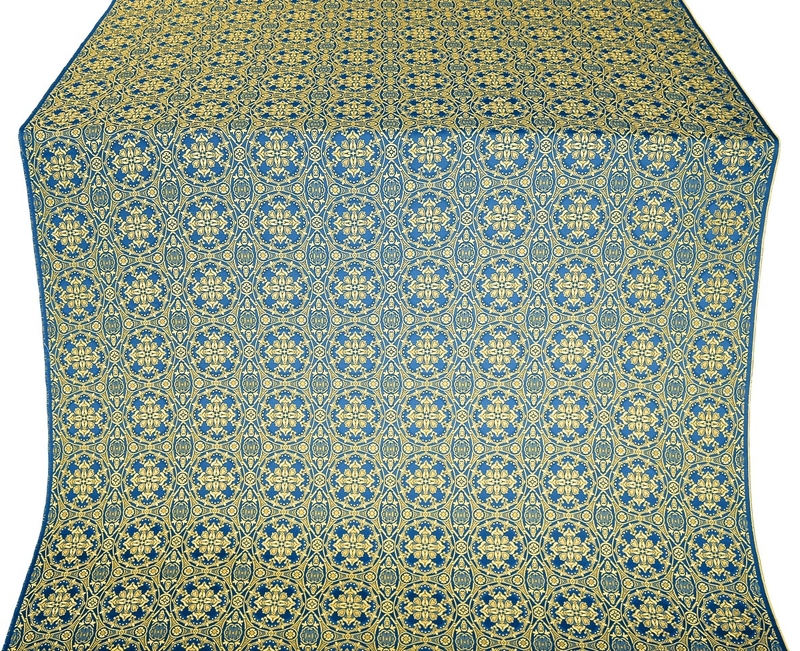 They are available in various categories such as B1, BG1, BG2, B3 and more so customers can purchase according to their church requirements, budget and aesthetic preferences. 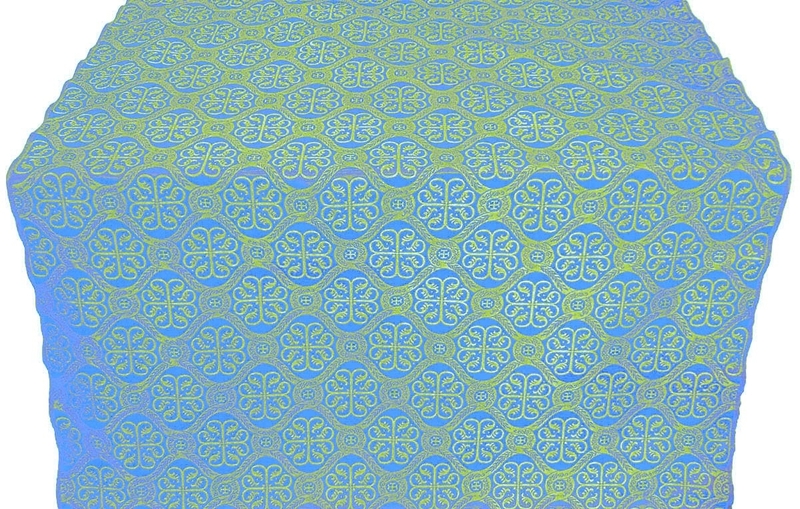 No matter which design they choose, customers can rest assured they are purchasing a quality product. 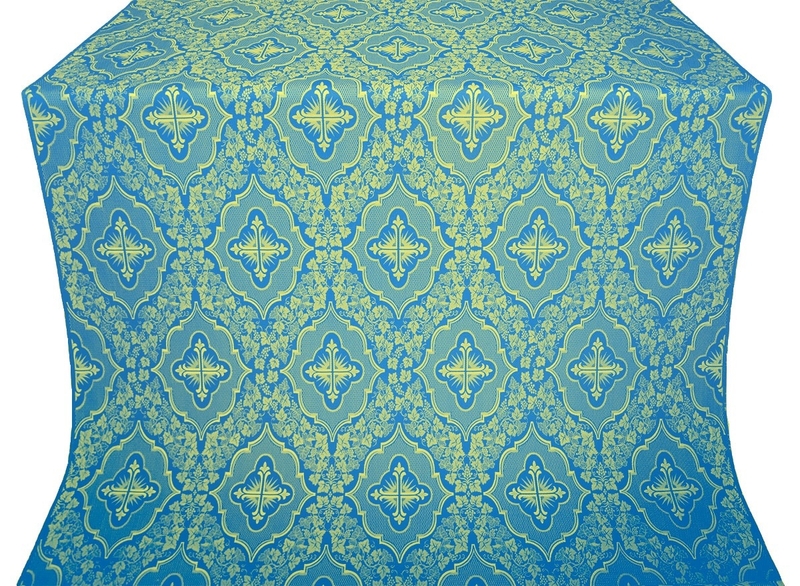 While we are not able to help customers feel the texture of the fabric, we can enable them to have a close up view. Each product listing comes with an image and customers can either move the mouse over the image or click on it to enlarge the view. 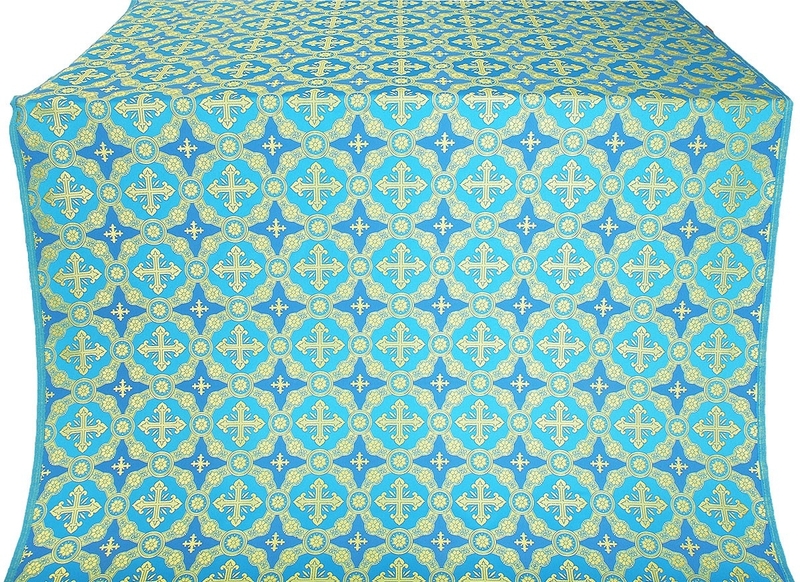 Our rayon brocades blue-gold make excellent liturgical fabrics and can be purchased at marked down prices for greater cost savings. Added to this is our easy and secure ordering process and worldwide delivery services. 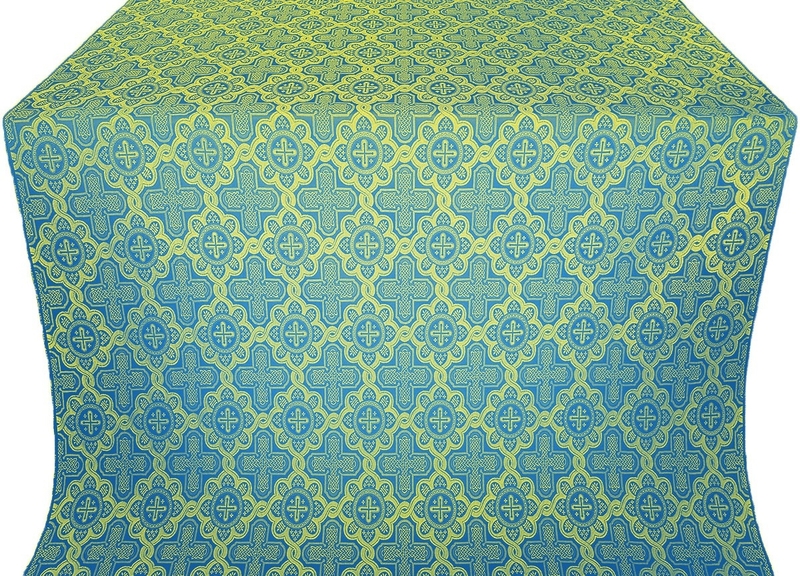 Purchase fine quality Orthodox Christian liturgical fabrics no matter which country you reside in!